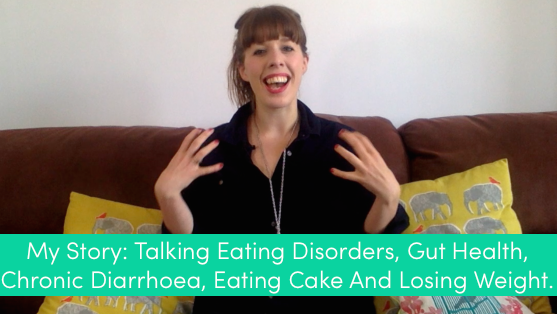 My Story: Talking eating disorders, gut health, chronic diarrhoea, eating cake and losing weight. So I thought it was time for us to have a wee chat for me to share my story with you. I have done it in a few post (see the about page) and you will know I don’t tend to hold anything back but I thought it was time for us to cosy up on the sofa and let me share with you my Story where I am Talking eating disorders, gut health, chronic diarrhoea, eating cake and losing weight. So pull up a seat and enjoy! As always feel free to leave you someone and questions below! Thanks so much for sharing this Kezia – I am on a similar journey, about a year into reclaiming my health. I’ve made lots of progress but still more to go! This was very inspirational. I can clearly relate to your story quite inspiring.Thanks for sharing.